Frisco, TX and Maidenhead, UK, September 8, 2015 —GENBAND™, a leading provider of real time communications software solutions and recently named 2015 CNBC Disruptor 50, today announced that Metronet (UK), one of the UK’s fastest growing communications service providers, has chosen GENBAND’s Session Border Controller (SBC) and Real Time Session Manager (RSM) to power its rapidly expanding IP voice business. 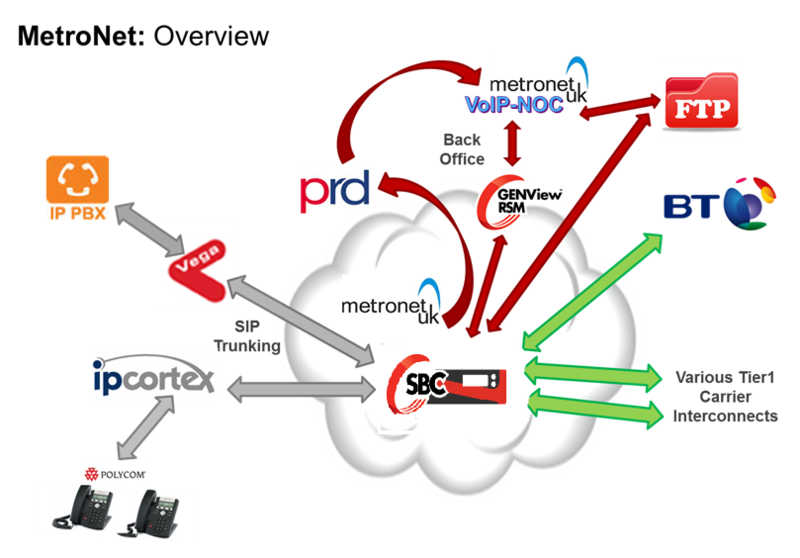 Having outgrown its previous SIP Trunking solution, Metronet (UK) looked to GENBAND’s scalable SBC and RSM to support the rapid growth of its enterprise business and the distribution of its quality service to a now more extensive customer base. GENBAND’s SBC delivers advanced network security, simplified interoperability and session management along with carrier-grade capabilities for SIP Trunking and IP Interconnect. The RSM solution offers the ability to proactively enable and monitor service level agreements (SLAs), provide Quality of Service (QoS) metrics, and easily enforce subscriber and network policies. GENBAND’s SBC delivers advanced network security, simplified interoperability and session management along with carrier-grade capabilities for SIP Trunking and IP Interconnect. The RSM solution offers the ability to proactively enable and monitor service level agreements (SLAs), provide Quality of Service (QoS) metrics, and easily enforce subscriber and network policies. Metronet (UK) is the United Kingdom’s most advanced Internet Service Provider. Providing IP infrastructure to business customers primarily, their customer base includes names such as ao.com, Bruntwood, Intu, MediaCityUK, Lend Lease and Laing O’Rourke. While Metronet has been able to expand their offered solution to voice services, the company’s stake in Enterprise VoIP has grown considerably. For more information www.metronet-uk.com.